Twenty years after scoring a last-gasp winner there for Manchester United in the final against Bayern Munich, Solskjaer will be back in Barcelona’s stadium on Wednesday (NZT) looking to mastermind an unlikely comeback for the English team from the touchline. Manchester United’s Diogo Dalot shoots during their first leg match at Old Trafford. 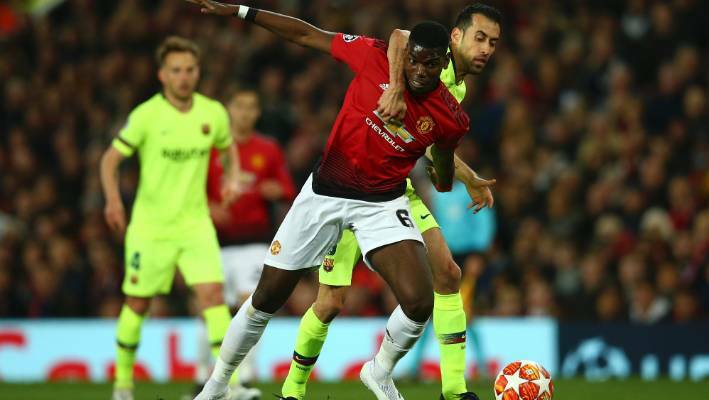 Barcelona’s Sergio Busquets, right, vies for the ball with Manchester United’s Paul Pogba. “The memories from Paris will help the players. It shows we can turn things around,” Solskjaer said on Tuesday before leading United’s training session at Camp Nou. “United has something special in the final minutes,” Valverde said, while adding that past glories don’t dictate future outcomes. 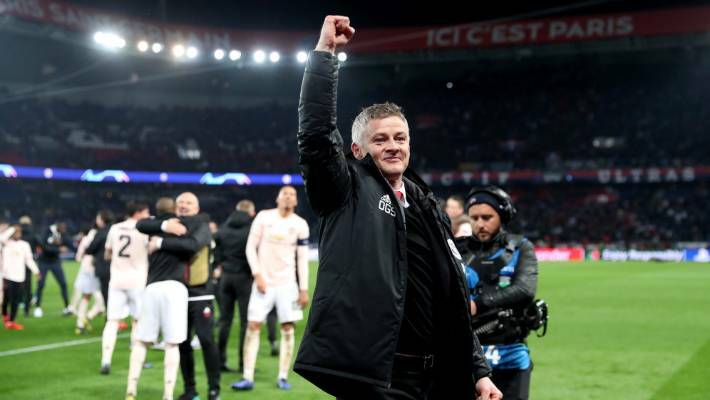 Ole Gunnar Solskjaer celebrates Manchester United’s comeback win at PSG in the previous round. Ahead of Wednesday’s game, Ajax had nine of its starting XI from the first leg in the 6-2 victory over Excelsior. One of them, star midfielder Frenkie de Jong, limped off with a hamstring problem in the first half. Without an away goal from the first leg, City will be in trouble should Tottenham score in the second leg at Etihad Stadium on Thursday. Tottenham is without the injured Harry Kane, but has still managed to achieve good results whenever the striker has been out in recent seasons. City could be without holding midfielder Fernandinho, who missed the 3-1 win against Crystal Palace in the Premier League through injury. Mohamed Salah looks back to his best after brilliant goals in successive weeks in the Premier League — against Southampton and then against Chelsea — but he might count himself fortunate to be playing the second leg against Porto on Thursday. Porto captain Hector Herrera is back from suspension, as is centre-back Pepe.